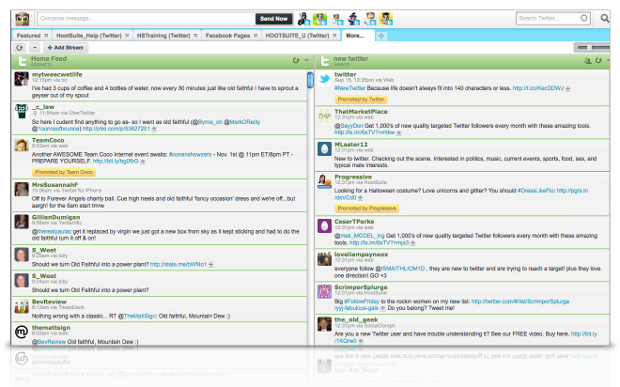 Today Twitter and HootSuite announced that new promoted tweets would start appearing in users’ streams starting today. In addition to our coverage on TNW I went down to the HootSuite office in Vancouver with my Flip camera to chat with Dave Olson about this big news. Dave, fighting a bad cold I must add, has been running ragged all morning with this huge news. Significant not just because Twitter is starting to put ads in streams other than search and trends, but targeted ads within people’s tweet streams. And HootSuite is the first Twitter app that is getting them.